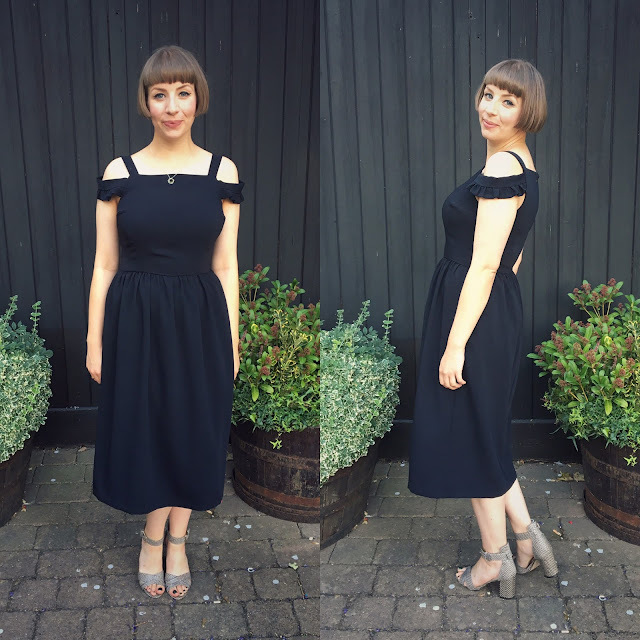 My last post was all about a 'cold shoulder' hack of the By Hand London Flora dress, and as I mentioned there, I thought it might be useful to write up a more detailed post of how I did it. The best thing about the cold shoulder inserts is that they're not a Flora-exclusive hack - they can be paired with pretty much any sleeveless bodice, or could even be used to update an old top or dress to make it bang on trend. 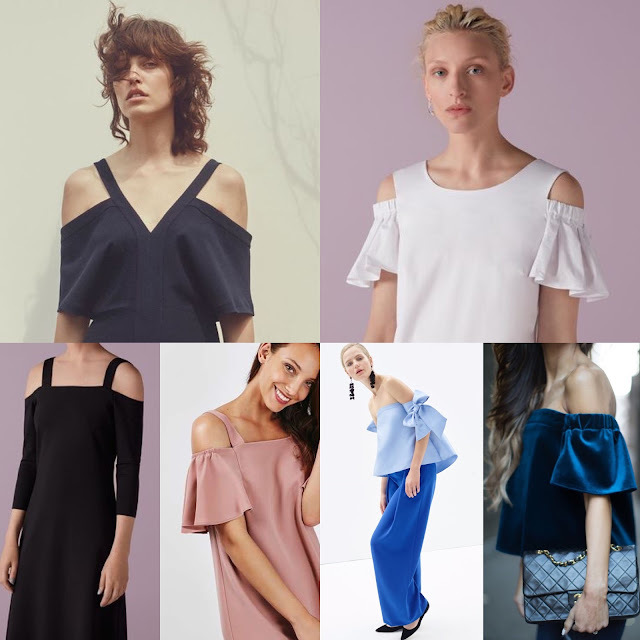 How to give the cold shoulder! Measure around your arm - preferably wearing your bodice or a muslin of your bodice if you have one. 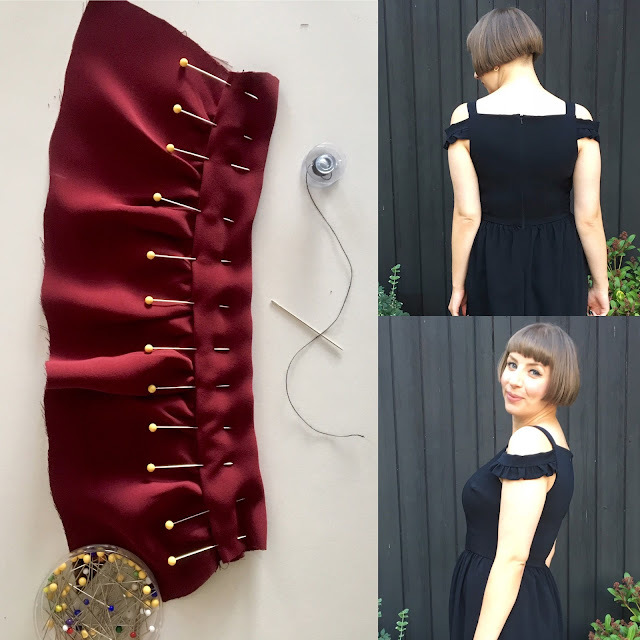 You want to measure edge of your dress on the front, to the edge of the arm hole on the back. My cold shoulder inserts are close fitting, so I cut the basic arm band out at 10.5" long x 4" deep (this includes a seam allowance). You need to cut out a second, longer piece that will be gathered into the arm band. Mine is 16" long x 4" deep (including seam allowance) but this length can be adjusted depending on how much gathering you want. Gather the longer piece using your preferred gathering technique - I like to sew 3 rows of long stitches within a 1.5cm seam allowance (no back stitching at the beginning or end) and pull the end threads to gather. *Note* For my own project, I folded the longer piece in half depth-ways before gathering. This creates slightly more structured gathers/ruffles and avoids any hemming, but can be a bit bulky depending on your fabric. For the purpose of this tutorial, I haven't folded the gathered piece and it has a bit more 'flow' and drape. 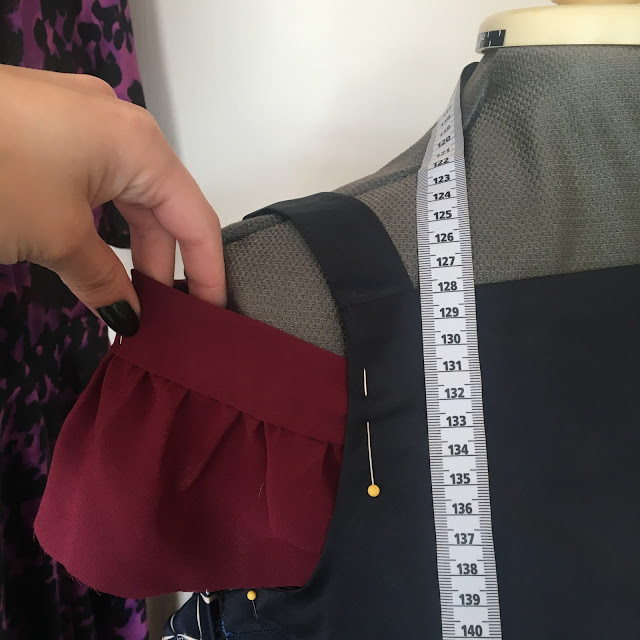 If you choose not to fold them, you will need to decide how deep you want your inserts to fall, and hem the bottom of them before adding them to your garment. Gather the piece until it is the same length as the arm band insert. Even up the gathers, and pin the gathered section to your arm band, right sides together. Machine stitch in place, trim or grade your seam allowances to reduce bulk, open the seam out and press lightly. On the other side of the arm band, fold and press 1.5cm towards the wrong side. Fold the arm band in half, so that the folded edge you've just created meets the seam where your gathered piece has been stitched in place. With all seam allowances folded up towards the arm band, press and pin (all the raw edges will now be concealed). Hand stitch in place. I love to slip stitch, but Sew Essential have created a bunch of really helpful video tutorials on all the different ways of hand finishing - find your favourite here. Hem the bottom of your insert if required. Once you have both your inserts, you just have to join them to your dress or top of choice. 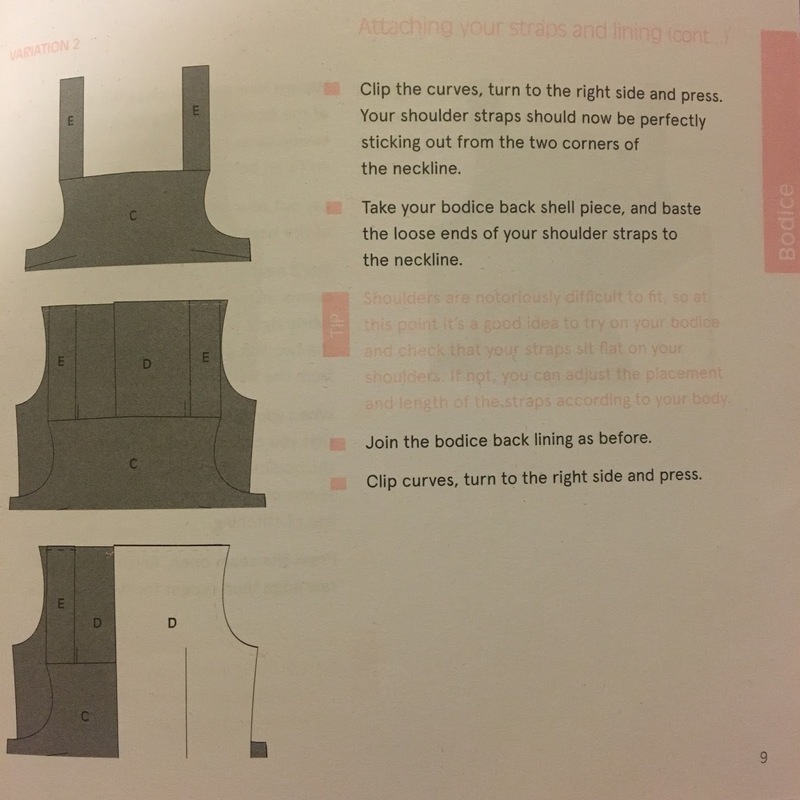 If your garment is lined like the Flora bodice, then you can sandwich the insert between the bodice outer and lining (it's helpful to baste them in place and check the positioning first!). With the Flora, you do this in the same manner as inserting the straps (see below). *Note* I lowered the Flora neckline by 1" so the inserts could be lined up with it, so you might want to consider whether your bodice needs any adjusting! If your garment is unlined, or you're using your inserts to update an already-finished garment, I'd recommend finishing the ends of your inserts. This could be with an overlocker or zig zag stitch, or if your fabric isn't too bulky, you may be able to hem the ends. Finish the arm hole of your garment if you haven't already done so. Baste the inserts in place and check the positioning. Then stitch them in place by either neatly machining, or hand stitching if you don't want too much visible stitching on the outside of your garment. And hopefully you'll end up with a beautiful finished cold shoulder dress or top! If you try it out I'd love to see the results! 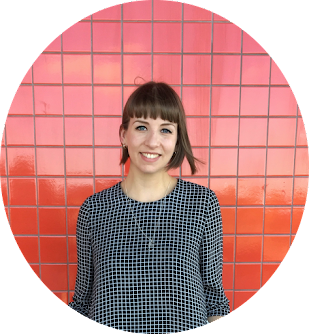 You can find me/get in touch using the links below, or email me at magnificent.thread[at]gmail.com. Super tutorial, you've made it so easy to follow and doable. can I ask about your red triangle thingy which I assume is some kind of refillable chalk marker?